Between the ages of 12 and 14, my dance life felt like a living nightmare. I returned home from almost every class frustrated and in tears, asking myself one question; “Why does my teacher hate me?” Here’s why I felt this way. 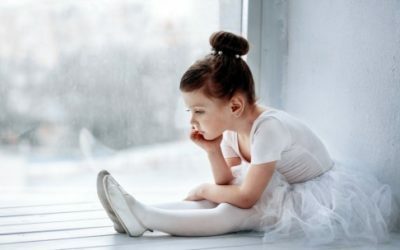 Beginning something new can be challenging, and stepping into the world of dance is no exception—there’s so much to learn, and it can feel competitive. So what happens when your “competition” is two feet shorter than you and three years ahead? You might have had a dance teacher tell you before that, “There’s no such thing as a bad question,“ and for the most part, this is true. Yet, there are three types of questions that are just downright frustrating to teachers. These questions often show the instructor that the student isn’t focusing on the correct things. For a dancer, taking a break from routine classes can feel like the best/worst thing they can do. On one hand, a break is a time when a dancer’s body breathes a sigh of relief—a respite from straining and exerting itself. Time off allows the body the chance to catch up on rest and healing that it desperately needs. Dancers will have this statement/question posed to them by strangers many times during their dance career.